Five years ago today, the world changed forever. Susan Boyle released her fourth album 'Standing Ovation: The Greatest Songs from the Stage' on this very day in 2012. 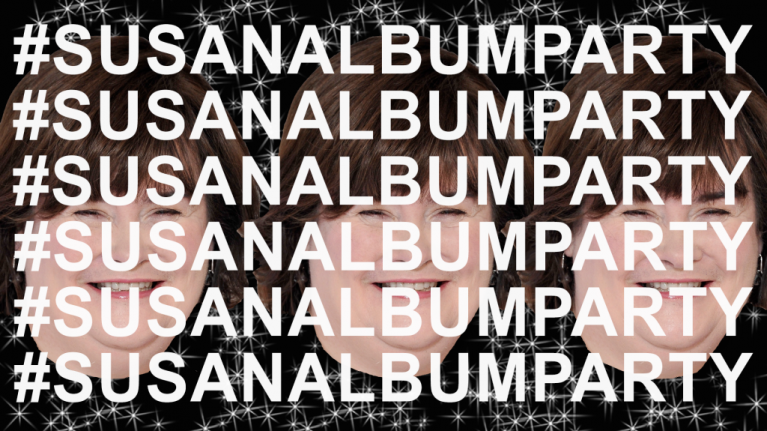 Some genius decided that there should be a jazzy little hashtag to raise awareness about the album on Twitter, thus #Susanalbumparty was born. It was an instant viral hit, with users bandwagoning on what is still widely regarded as the greatest hashtag that the godforsaken website has ever seen. The original tweet from Susan's official account was deleted once they caught wind of the mishap, but not before the entire world contributed to #Susanalbumparty. Five years on, I still have some questions. Five questions, to be precise. A question for every year. Question 1: Who, from 'Susan HQ', came up with the hashtag? It's logical to assume that Susan herself didn't write the tweet, since it's signed 'Susan HQ' at the end. Unless she was letting us know that she was feeling particularly high quality at the time, I'd hedge my bets on that being 'HQ' as in headquarters. More specifically, it's her PR team. They were given the very simple task of putting out a concise yet informative tweet to let her loyal followers know that they could get their questions in for a very special party with Susan on Saturday. So it's someone that works for her PR firm, but whom? I think we can safely conclude that the person isn't a native Twitter user as the punctuation is a bit scatty, let alone the scandalous hashtag that emerged in the end. This is a slightly tiresome mind, someone that's been in the industry for many years and is still getting to grips with the effect that new technology is having on the PR world. The term 'Susan HQ' is a very PR term. It's like they're trying to say 'Hey just FYI Susan didn't write this', but in a very cool, chill and informative way. Something as undeniably cool as 'Su HQ' would've blatantly come from a teen / early 20s kid, obviously. Based on the grammar, phrasing and overall essence of the tweet, I'm going to say it was a 35-year-old Mum of two, named Carol. Allegedly. Question 2: Why didn't anyone ask for a second opinion? Carol isn't the sole member of Susan HQ. Not a chance. In 2012, Susan Boyle was performing at the Queen's diamond jubilee. She was hot property, she had a small army working for her. SuBo also went to Vegas to perform with her idol, Donny Osmond, singing a track from this new (an)album. With great certainty, I'm choosing to believe that Susan had more than one PR person working for her. So why didn't Carol get a quick proofread of the tweet before she hit 'send'? I'm picturing a small office in which they operate a PR firm for a number of high profile clients. Susan Boyle, Sooty & Sweep, Nick Knowles, etc. Carol seems like a bit of a chatterbox, always raving about the latest detox tea she's trying to help 'tone things up a bit'. Why didn't she get a little proof on the tweet? A second, possibly even third set of eyes could have, at the very least, suggested that they capitalise the hashtag. #SusanAlbumParty would've made all the difference. We wouldn't be discussing this here today if Carol had gotten a quick proof of the tweet. Perhaps Carol was a lone wolf around the office. She never asked for help because she didn't want it. Carol works best alone, always has. Unfortunately, on 21st November 2012, Carol learned the hard way that there's no harm in getting a second opinion sometimes. Question 3: Why didn't they comment? Susan's people eventually deleted the tweet, but not before it was turned into a viral sensation, as was only right. 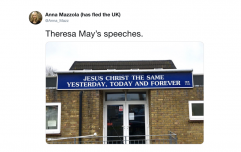 The hashtag swiftly went worldwide, with Twitter users from far and wide contributing to what was widely regarded as A Great Day On The Internet. There was a real sense of community as everyone banded together to drive a good honest joke into the ground. But where was 'Susan HQ' while all this was happening? In the minutes, hours and even days after the tweet was deleted, the silence from Camp SuBo was deafening. All we wanted was an explanation, or some kind of feeble excuse that we could make fun of. Was that so much to ask? Evidently so. Why they did they decline to comment? Was Carol too embarrassed? Did they decide that silence was the best course of action? Was Susan even made aware of the events that were unfolding? It doesn't add up. A quick 'Oops, sorry' would've sufficed. Instead, we got nothing. Our appetites went unsated. #susanalbumparty technically was never cancelled. Did a lewd party take place? Is that why they didn't negate it? OMG. Question 4: How did Susan feel about it all? We never found out. Susan never told us, nor did her PR people. Susan Boyle never issued a statement about #susanalbumparty. All we can do, five years on, is speculate. A quick bit of research shows that Susan was out and about the day after the hashtag fiasco, it appeared as though nothing was perturbing her. Susan will be on The One Show, BBC One at 7pm tomorrow (Thursday 22nd). Tune in to watch her take a walk down memory lane! Luckily, the footage of this important appearance is still online. I'll save you four minutes and thirty four seconds of your life by letting you know that Susan doesn't address #susanalbumparty once in that piece. She had the perfect platform to comment on the fiasco, but instead, she showed us her family home and told us about her parents and siblings. But let's look at her demeanour. Susan seems a little more distant than usual. She's rambling. Her mind is elsewhere. We're looking at a woman that's struggling to tread water. Her PR team, allegedly, has stitched her right up. She's been a mockery online for 24 hours at this point. It's an epidemic. Susan's got hunger in her eyes. She wants blood. Susan Boyle needs to know who's responsible for tweeting #susanalbumparty. She's not buying the PR excuse and neither am I. That tweet didn't come from SuBo HQ. Not a glimmer of a chance. We need to dig deeper. Question 5: Was this a deliberate means of sabotage? I hate to point the finger five years later, but somebody has to because no one else cares. It's not beyond the realms of possibility that someone could have sabotaged Susan's Album Party from the outset. A begrudger, if you will. But does Susan Boyle have any enemies? Who would do such a senseless thing to SuBo? Cast your mind back to Britain's Got Talent 2012. Susan Boyle never actually won the show, she finished in second place after Diversity. It was alleged that she had a bit of an outburst backstage, due to heightened emotions and exhaustion. There's no way Ashley Banjo, the leader of Diversity, took kindly to what appeared to be a sore loser. Not on Banjo's watch. But where was Ashley Banjo on 21st November 2012? Had fun teaching tonight well done everyone who danced! You know who you are ☺ more teaching tomorrow! How convenient, he was teaching. What was he teaching? Susan Boyle a lesson in humility, perhaps? "You know who you are" is quite a threatening term to use. What we see here is a man very clearly owning up to his crimes. He taught Susan Boyle a lesson on 21st November 2012. He taught us all a lesson. 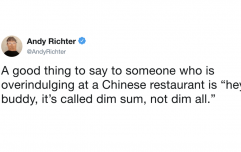 Be polite to Diversity or your career is over. Case closed. It was Ashley Banjo who sent the tweet. He started #susanalbumparty out of revenge. How dare Susan Boyle take the attention away from Diversity on the biggest night of their lives. Hell hath no fury like an Ashley Banjo scorned.